Is your Schnauzer in peak health? This is ‘Episode 1’ of one the most remarkable cases I have ever had to deal with. Brace yourselves for a very long read! 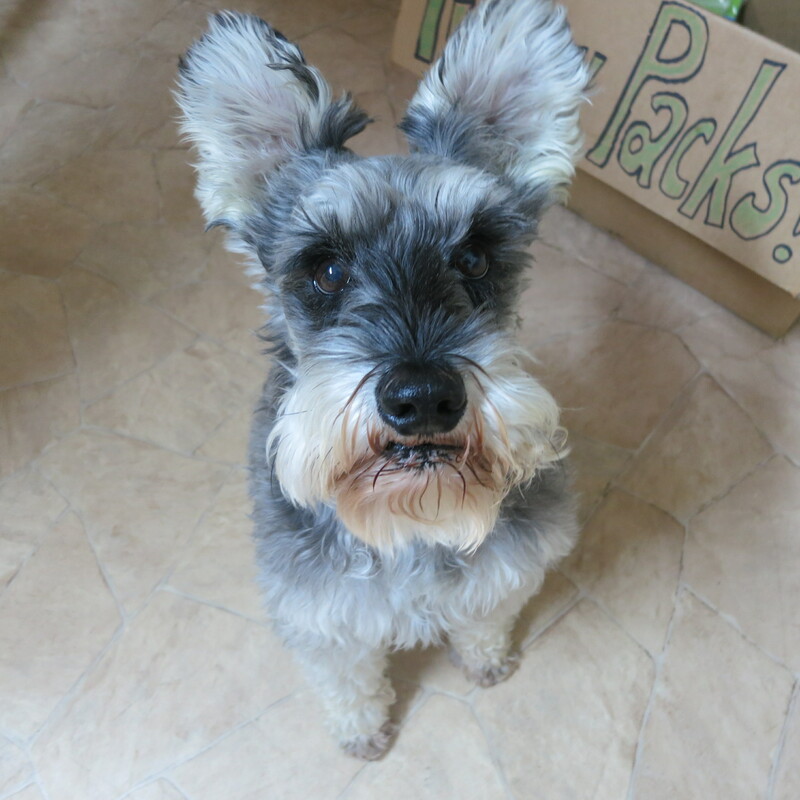 If you own a Schnauzer, you simply must read this post. It all started with me going into a revisit consultation booked for ‘Winston’, an eight year old male de-sexed Schnauzer. It wasn’t the first time I have examined the handsome Mr. Winston. He had been discovered eating ratsak two weeks ago. His owners were in the process of renovating their home and obviously an old hidden packet of rat poison had surfaced out of nowhere. Thankfully they caught him red handed and brought him straight into the vets. My colleague gave him an emetic injection and he threw up some of the poison and was sent home on a two week course of oral vitamin K1; the anti-dote for ratsak. The revisit was scheduled to repeat his clotting blood test and make sure that the vitamin K supplementation had been sufficient. I also recommended running a complete blood test to check his liver and kidney function as ‘Winston’ was now officially classified as a geriatric canine. His owner was keen to get whatever was needed done to ensure ‘Wintson’ is in prime health. I sent off the geriatric blood profile to Gribble’s laboratory but did the clotting test in house. His clotting results revealed he still had a very prolonged prothrombin time. This meant he was still suffering from the anti-clotting effects of the rat poison. As we weren’t sure about the exact type of rat poison he ingested, I thought it was fair to assume he got the worse brand of the two. This simply meant he would require a longer and higher dosage of vitamin K1 supplementation. We also scheduled another repeat of his clotting test at the end of his extended vitamin K1 course. The next day, I received his blood results and they showed some mild to moderate changes in his liver enzymes. Given he was bright as a button and clinically well and still recovering from ratsak poisoning, I advised the owners that we will repeat his full bloods in 4 weeks’ time to recheck those liver parameters. If they had returned to normal levels, then we can rest assured it was all related to the ratsak poisoning. Four weeks passed and my adorable ‘Winston’ was back for his scheduled revisit. His physical examination was normal and his owner reported he was doing absolutely great. For a moment there, I thought it may be overkill to repeat his clotting test and gave the owner the option of not repeating it. Thankfully, his owner wanted the works done and just wanted to get the all clear that his baby was going to be just fine. I proceeded to do the clotting test and was startled to still get an abnormally high reading. I started to wonder if our clotting machine was faulty. I even went to the extent of collecting blood from a perfectly healthy patient booked for de-sexing to cross check the machine. I got a normal reading. With a heavy heart, I informed Winston’s owner that he was still not out of the woods and needed further workup. I collected more blood from him and sent it all to Gribble’s pathology. I requested an urgent clotting profile as well as a geriatric blood profile. When I received Winston’s blood results that evening, I was very perplexed. His liver enzymes had gotten so much worse and his clotting results matched our in house laboratory. It was becoming more evident that we were not just dealing with a straightforward rodenticide poisoning case. I was quite concerned that Winston was suffering from a genetic blood defect or a primary liver problem. I gathered my thoughts then called Winston’s owners to discuss his results. I explained that the liver changes and clotting issues may be unrelated and that we may be in fact dealing with two separate problems. However, there was definitely a possibility that the two conditions were related. Either way, we really needed to get to the bottom of the issue as soon as possible. There was no more available testing that I could do in-house. The next best step was to refer them to a specialist clinic for a consultation and abdominal ultrasound by a qualified veterinary ultra-sonographer. It was a very challenging conversation because his owners were really distressed. It just felt very frustrating not to be able to give the owners any definitive diagnosis. I explained that the specialists are used to dealing with complex cases and have the highest chance of getting to the crust of the issue in the shortest time frame. The very next day, Winston was scheduled for a consult at Advanced Vetcare Veterinary Referral Centre. Based on their examination and abdominal ultrasound, they supported my hypothesis that Winston was possibly suffering from two separate conditions: a clotting disorder and a liver condition. Ultrasound of his liver had revealed some changes but nothing obviously alarming. 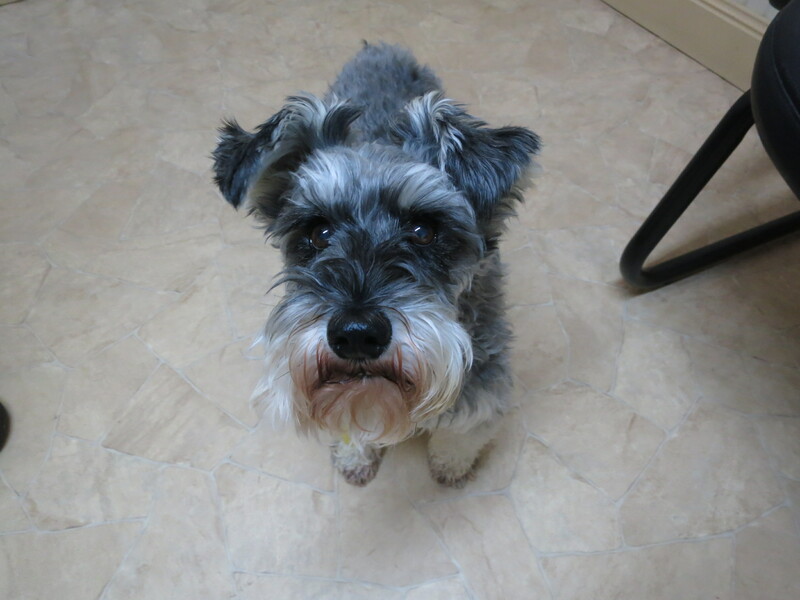 These liver changes seemed typical of a Schnauzer as this breed is predisposed to underlying liver abnormalities. He was put on yet a higher dose of vitamin K1 tablets and another 2 weeks course. They discussed the importance of maintaining him on a low fat diet and he was banned from receiving any raw bones. Fortunately, Winston was already on a low fat diet so the only change was no bones! I must admit, when I first read the referral report, I was pretty disappointed in myself. I thought wondered if I had really jumped the gun with my referral. I mean he had been supplemented with vitamin K1 for a total of 6 weeks when I last blood tested him. I thought that was clearly sufficient. However, the specialist decided to increase his vitamin K1 dosage by a tiny fraction and recommended he was medicated twice daily as opposed to my once daily regimen. A couple of days prior to Winston’s scheduled blood test, his owner called me as he was concerned that Winston was getting finicky with his food which was most unusual. His physical examination showed he was slightly tender on palpation of his back. I organised some pain killers for him. He perked up a lot in the consultation especially when he saw me reach out for my infamous liver treat jar. We decided to hold off on his blood test until the allotted time as he really seemed quite food motivated. Monday morning arrived and I dog-napped Winston to collect his blood. We went through the usual ritual where he suddenly got quiet and tense as he had been separated from his owners. Not once did he ever struggle or act up after collecting his blood. I mean I know I would be getting crabby if I had to get blood collected from me so often. He just stood very still each time and only waited to be reunited with his owners. As soon as I returned him to them, he would be bouncing out of his skin as if to say: ‘God I’ve missed you, please take me home now’. Winston forgave all my sins every time I rewarded him with a tiny liver treat. At that stage, I had really grown very fond of him. I ended the consult reassuring his owners that I would call them the minute I received his blood results. In all honesty, I was looking forward to receiving his blood results as I may have indeed over reacted with his last blood results. After all, the specialists only put him on more vitamin K1. For most the afternoon, I kept checking the fax machine for his much anticipated blood results. At 7 p.m., I swung past the fax machine and the tray was full. I flicked through the faxed documents and found Winston’s pathology report. I was instantly drawn to the results highlighted in bold. My stomach started to turn when I saw that his liver results had hit the roof. I was panicked and consulted my colleague about his case and he suspected it may be secondary to gall bladder stones. I was now really dreading making that phone call. Winston’s owners had been stressed out of their wits with his repeated abnormal results for the past 8 weeks. I had really wanted to call them with some good news for once but instead had to hit them with more gloomy updates. I set aside my own feelings and called his owners with the results. His owners were taken aback with my phone-call and at a loss for words. They were very frustrated with being sent back and forth between clinics and without any further progress in determining the cause of Winston’s ailment. They explained to me that they would do the best for their little boy Winston and if that meant taking him back to the specialists, then that was exactly what they would have to do. I totally empathized with all their frustrations and disappointments. I could even go so far to say, I equally felt all those raw emotions. The next day, I had Winston weighing down heavily on my mind. I was wondering if the specialists had any ideas on what was going on with him. I had to restrain myself from pestering them with my calls. I basically had to wait for their input as they would most likely still be in the process of working him up. At around 3 p.m., I received a call from the vet assigned to Winston’s case. She said they repeated his ultrasound and discovered he had gall bladder stones. They were obviously not visible in his previous ultrasound. He was being prepared for surgery to remove his gall bladder. With regards to his clotting disorder, she explained his gall bladder stones may have led to inappropriate digestion and absorption of vitamin K1. However, other possibilities for the clotting issues were still on the table. They were also going to collect a biopsy of his liver to analyse. When I placed the receiver down, I felt a load of my back. They had determined one of the major contributors to his elevated liver readings and he was finally getting the appropriate treatment. Deep down, I had a really good gut feeling that Winston would recover really well from his surgery. Stay tuned for ‘Episode 2‘ next week. Love the photos of Winston – he looks adorable – no wonder his owners are concerned. It’s terrible to see animals suffer. So good that you can often help them. Without your help they would suffere so much more. Thank you so much for joining Winston’s owners and I on this rough journey. What a very frustrating set of events. Look forward to hearing how this progresses. Very frustrating. It felt like a nightmare that wouldn’t end. Poor Winston, and poor owners – they are going through hell. I hope there is a good outcome and can hardly wait for the next installment. Hey Barb. Winston and his owners really went through so much. Wow, that does sound like a frustrating case. I had a Military Working Dog that ate some rat poison earlier this year. Fortunately he did okay after we got him to vomit most of it up, treated with activated charcoal, and then six weeks of vitamin K1. What type of clotting labs can you run there at the clinic? Dinner is late tonight because I HAD to read your post. I so look forward to the second installment. How frustrating! So glad you were on top of this with the follow up tests. Paws crossed that the next installment has better news for the little guy. Dang, you left us hanging. 🙂 I do hope Winston was okay and I never would have thought that dogs could have gall stones! Phew, what a roller coaster ride of emotion. I hope it has a happy ending. Hey Isobel. It sure was. Poor Winston, and he looks so cute! Looking forward to Episode 2! Hey Jo. Winston was gorgeous throughout his ordeal. Poor Winston – I’m getting nervous to read the next post. Gall bladder stones are so painful – little chap must have been feeling terrible. Holding thumbs for him. The specialists loaded Winston up with lots of pain relief so that would have helped him a lot. Poor baby. This story has kept me on pins and needles! One of my favourite clients (they’re all my favourite – but this client is especially too adorable for words!) is a black miniature schnauzer puppy. I cannot wait to read the second instalment of this story, and I shall be directing the owners to this story! Hopefully, somebody has checked this little guy’s urine for signs of liver failure or biliary obstruction. Cholelithiasis is not [by itself] a sufficient cause for liver failure [especially with a borderline ultrasound] . Yes, they can check the CBD intraoperatively, but surgery on anyone who doesn’t clot raises the stakes really high! !